Advanced Image Resizer 2007 is an application developed by Urban Twilight Studios. We know of version 5.1. Version 5.1.9.31 is available for download at our site. 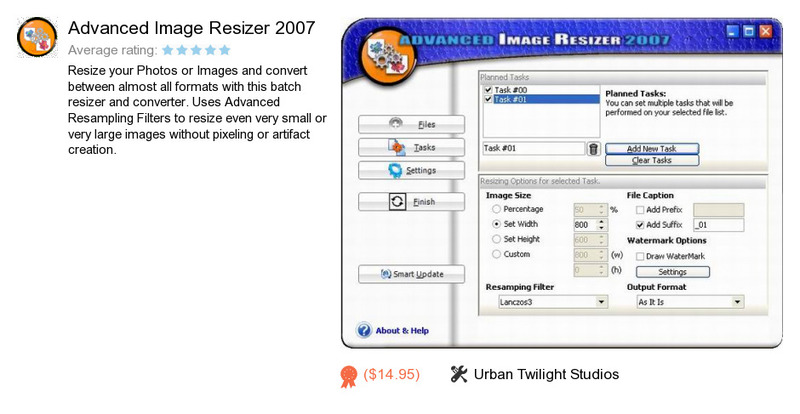 Advanced Image Resizer 2007 installation package has a size of 3,427,848 bytes. Urban Twilight Studios also publishes DupeRAZOR - Duplicate Files Removal Kit.